Professional WooCommerce Site Audits that make your online store perform better and sell more. A WooCommerce audit is always a worthy project, especially if your online store has been running for some time now. Slow loading pages, security threats and poor SEO performance are all the more likely the older your website becomes. 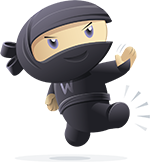 If you believe your store could perform better then we can help identify and assess your problems with our WooCommerce Site Audit service. On completion you will receive a report with all of our findings and a list of recommendations on how to improve your site’s performance. Unless, of course, your site is performing perfectly! Just like servicing a car, we advise our customers to have a site audit at least once a year to ensure things are running at optimum level. You may have some outdated files, broken links or meta-data that needs refreshing with a content update. A site audit will act like a spring clean and take care of all of this! Contact us below for more information on our WooCommerce Audit service. One of the original WooCommerce experts, with over half a decade of experience.